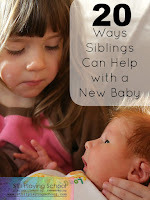 Do your kids love to play outside in the snow? 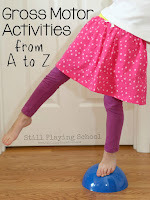 It's a completely free sensory play material that no one can resist! 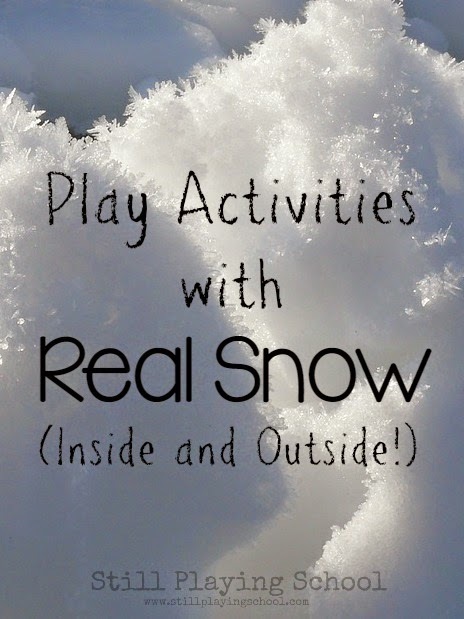 We've collected the most creative ideas and activities for kids to explore the snow both inside and outdoors. 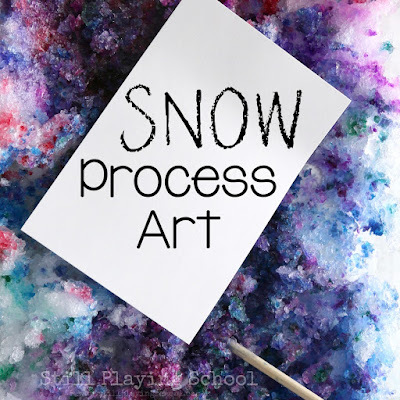 Create cool process art with snow (or shaved ice)! Adventure in a Box created a beautifully simple invitation for Color Exploration in the Snow that you'll have to see to believe! So pretty! Fun-A-Day! built structures with Snow Building Blocks. You could try this one inside or outside! Toddler Approved made Indoor Snowmen then melted them in a fun way! 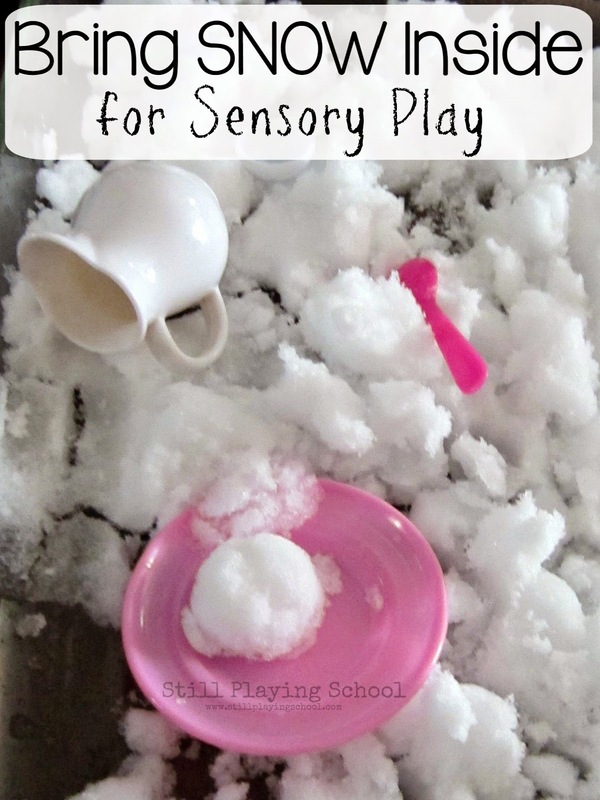 Ever since our oldest was a toddler we've been Bringing the Snow Inside for Sensory Play! Craftulate invited her little one to explore Indoor Snow Painting! STL Motherhood whipped up Snowcream! Yum! Inspiration Laboratories played with Cars and Ramps in the Snow! 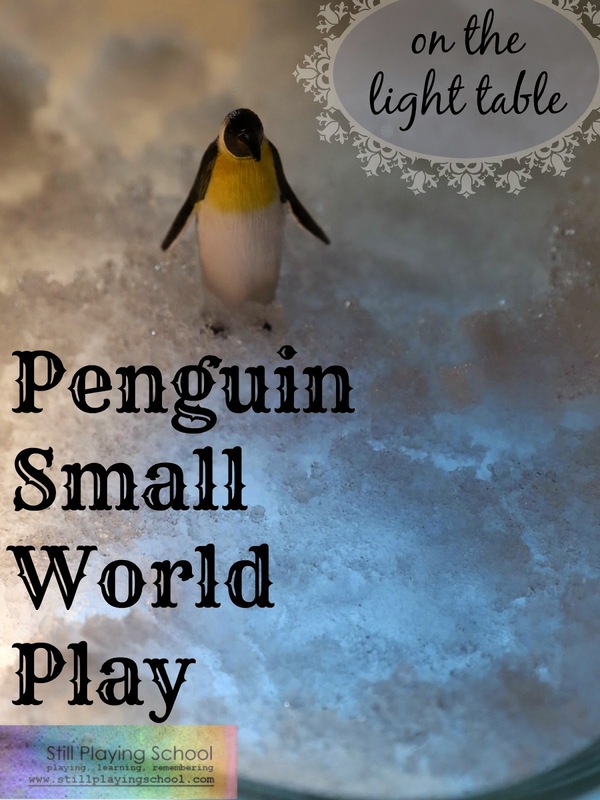 We used real snow for our Penguin Small World on the Light Table! A Snow Maze from Sugar Aunts is a great way to get energy out if you have cabin fever. The Diary of a Frugal Family made Snow Globes with Real Snow! Creative Family Fun discovered Snow Science through observations. If going outside isn't an option, you can still color the snow inside with no mess with our Snow Sensory Sink! Simple Fun for Kids hid Glowsticks in the Snow! Rain or Shine Mamma made Snow Pastries that I know my kids would love to try.